Getting a UPS (uninterruptible power supply) for my computer equipment hasn’t been new. I have had numerous UPS’es for my other computers and they have been maintenance free, confidence adding a piece of hardware to combat electrical surge and blackouts. 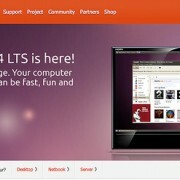 What is new is trying a different brand and form factor this time. The other UPS’es I have are all from APC (American Power Conversion). 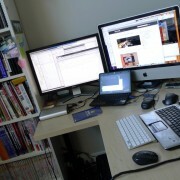 APC has been around as long as I have been using computers and their products are usually pretty solid. I haven’t had to replace any of the batteries or have had any leaks from the batteries at all. All our APC UPS’es are 3+ years old and they are still working well today. 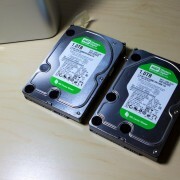 I have the Back-UPS 550VA for my Linux Server and a slightly smaller one for my Mac mini. They have the traditional power bar form factor and is flat and wide so they take up a bit more floor space. That said, they have very good receptacle spacing and are designed to work with not only power cords, but also the bigger transformers that come with a lot of electronics these days. 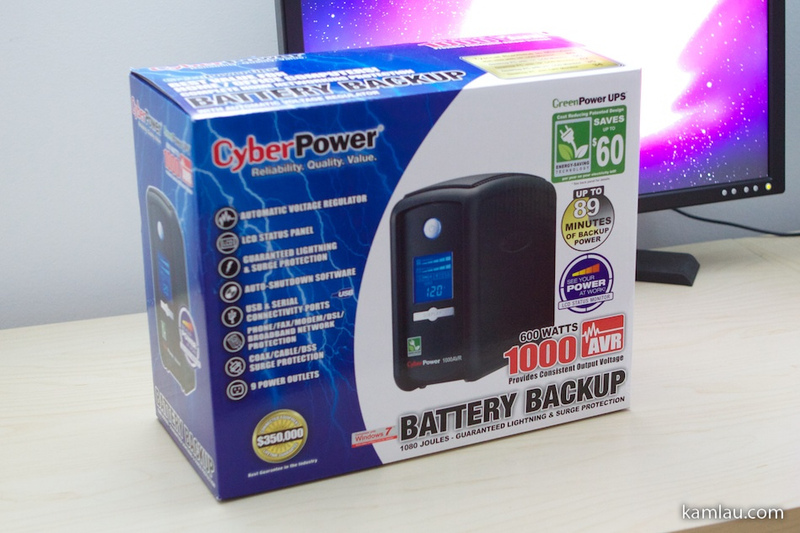 The reason I decided to try CyberPower is because they have been in the market for a few years now and DELL had an electronic sale last week. The sale brought the price of the CP1000AVRLCD UPS down from MSRP $137.95 to $87.99. 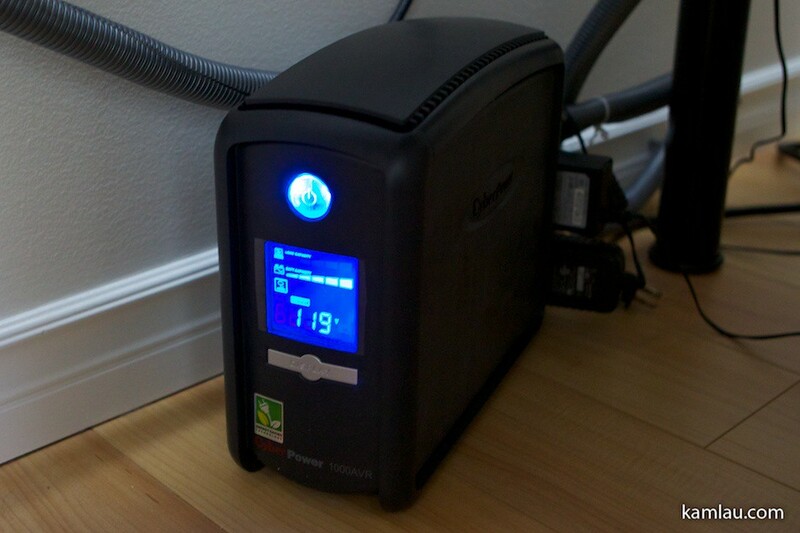 With taxes and free shipping, it is just slightly under $100 for this UPS unit. 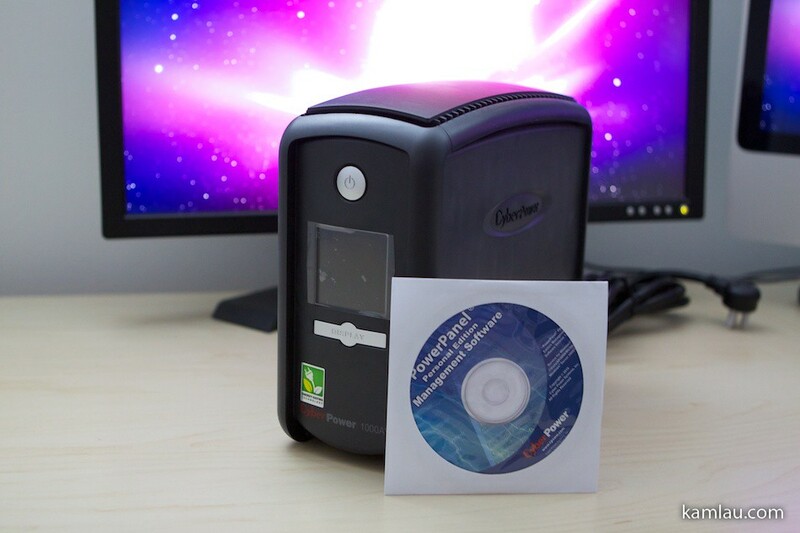 From the box, it has a brief breakdown of the approximate time computers could rely on this UPS. Of course, your mileage may vary. This UPS is also equipped with an AVR (Automatic Voltage Regulator) that helps to regulate the output voltage to have nice sine waveform, a nice enhancement over the older UPS’es I have. 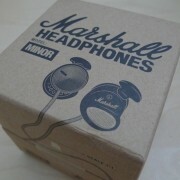 Here it is unboxed. 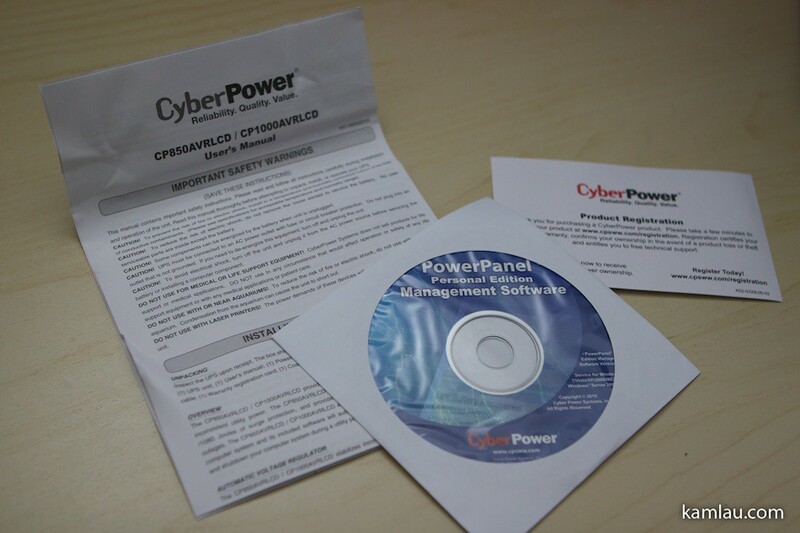 If you are using Windows or Linux, it comes with a software CD for you to install the PowerPanel software that communicates with the CyberPower UPS. 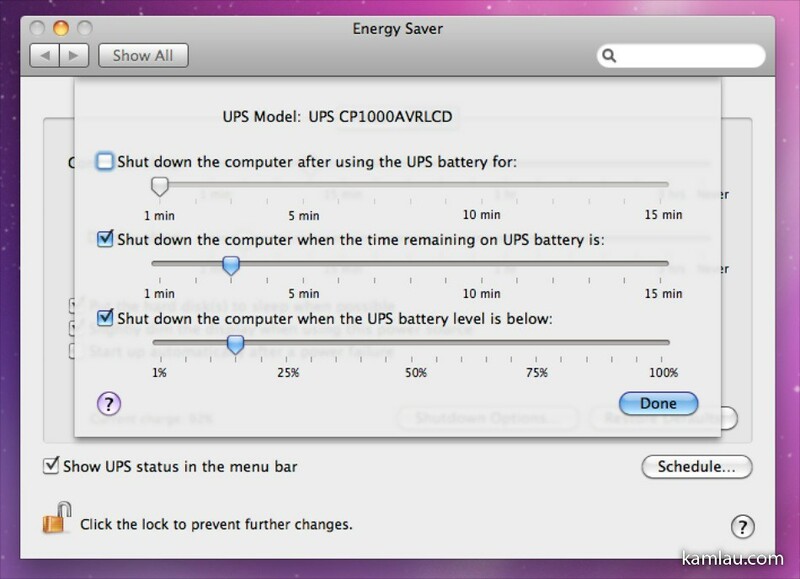 If you are like me, connecting the CyberPower UPS to your Mac does not require additional software. 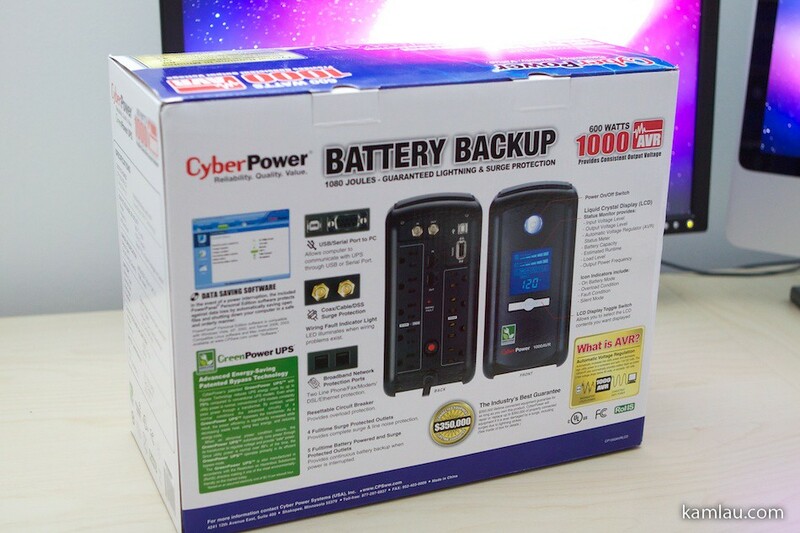 The CyberPower CP1000AVRLCD has 5 Battery Powered outlets and 4 Surge Protected outlets (2 covered by the red sticker). They are tightly organized but are not very practical if you have a lot of transformers. 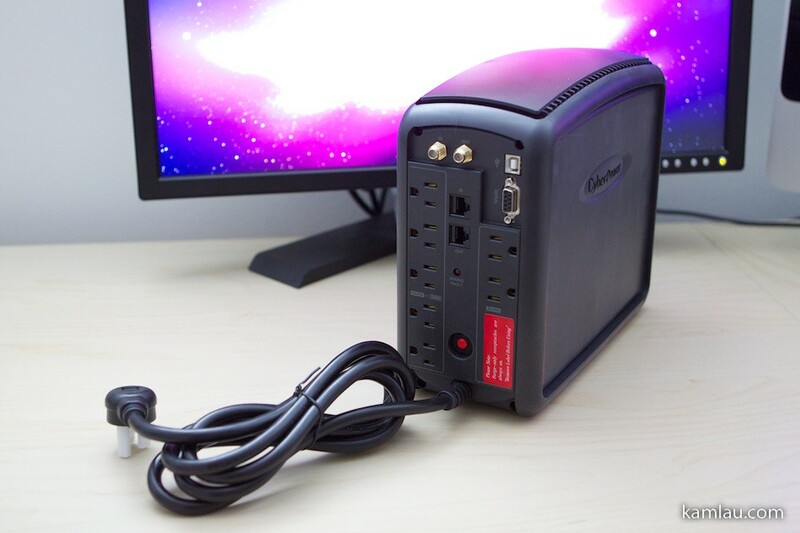 Like the other UPS’es I have, the CyberPower CP1000AVRLCD UPS has a heavy gauge power cable and the plug can be inserted into the wall power jack at 90 degrees from the cable, making it easier to hide behind furniture. 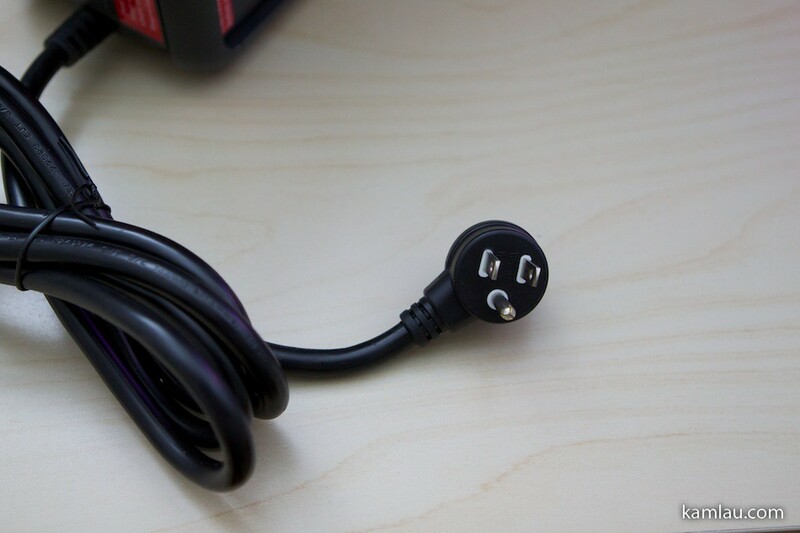 The cable is also off angle so that the power cable would not cover the other power jack. 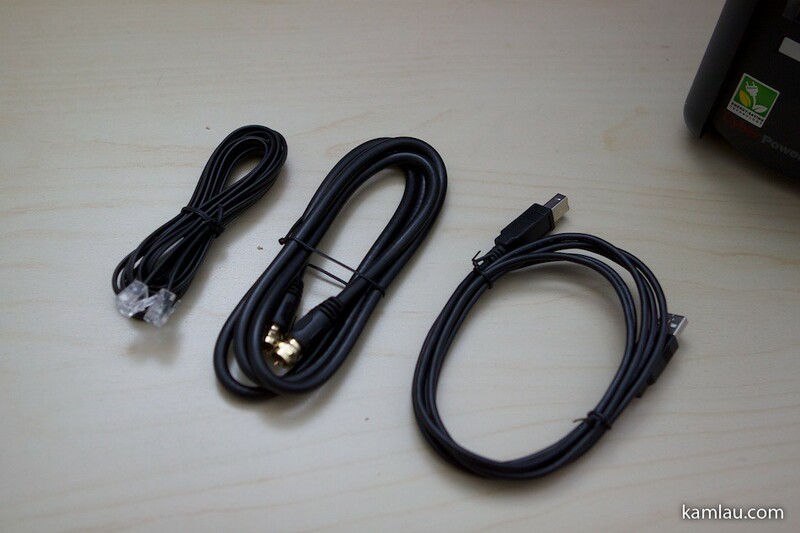 The unit also comes with other connection cables: USB, coax and Phone RJ11. For me, I only need to use the USB cable to connect the UPS to my iMac, but it is nice to see that the other cables are included. 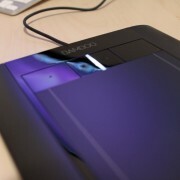 The unit also comes with a small piece of documentation, the software CD and a reminder for product registration to get your product warranty. The documentation is quick and easy to understand, and it provides adequate information for you to get started with using the UPS. 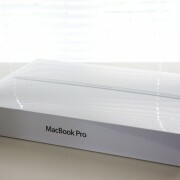 As mentioned, once the UPS is connected to the Mac with the USB cable, there is no software to install. The Energy Saver Preference Panel automatically recognizes the UPS and allows you to set power configurations that are specific to UPS scenario. 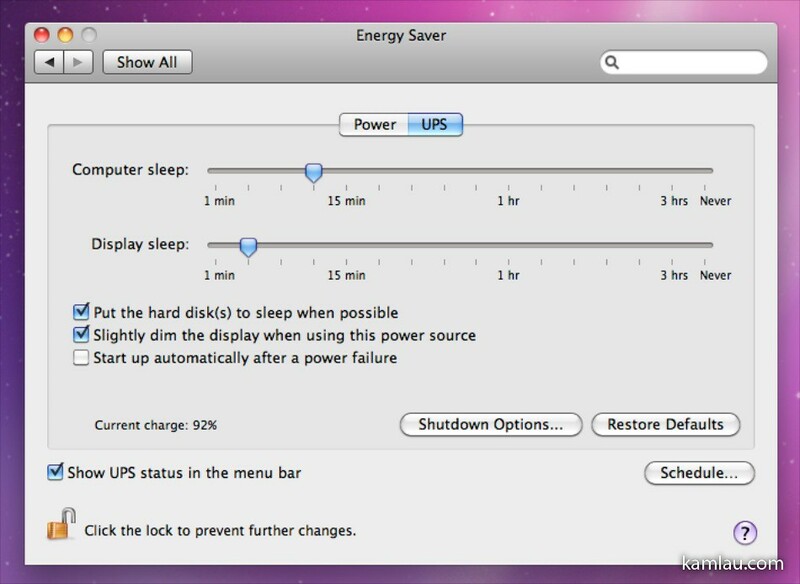 Most importantly, you can set the Shutdown option for your Mac based on time remaining and remaining power level. So I am going to give it a try to make sure that this “backup” power supply will provide the power and tell my iMac to shut down when a specific setting is met. After plugging it in, the battery indicator tells me that it had only 90% remaining charge. So I waited until it is fully charged. Then I unplugged it from the wall. 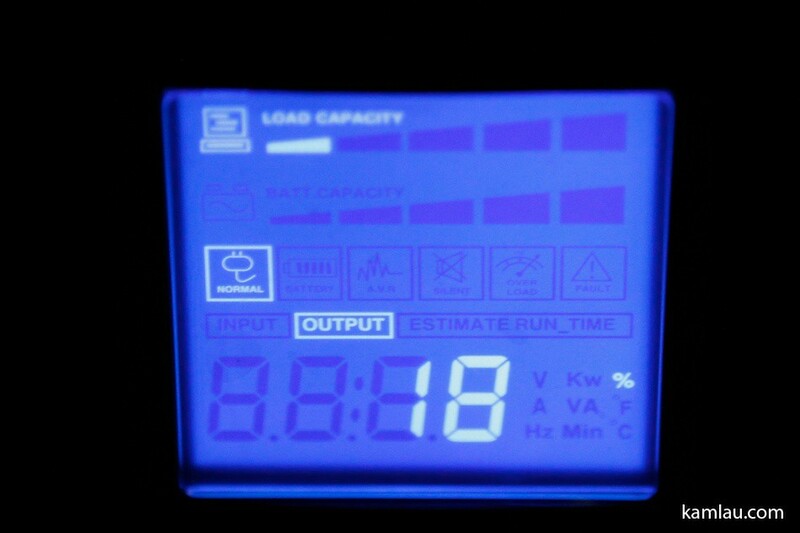 The iMac and the two transformers I had plugged into the battery powered outlet was drawing at around 18% load. 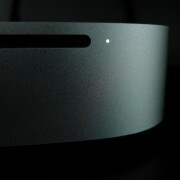 The LCD on the UPS can be cycled by pressing the Display button below it to show different information. It took about 15 minutes to draw 50% of the battery and my iMac shuts down properly at that point (per my configuration). So it is working pretty good. 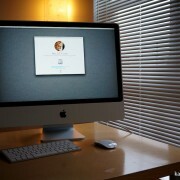 Potentially I have up to 30 minutes of juice to run my iMac once the power is out. Below is a brief description of the different displays the LCD panel shows. 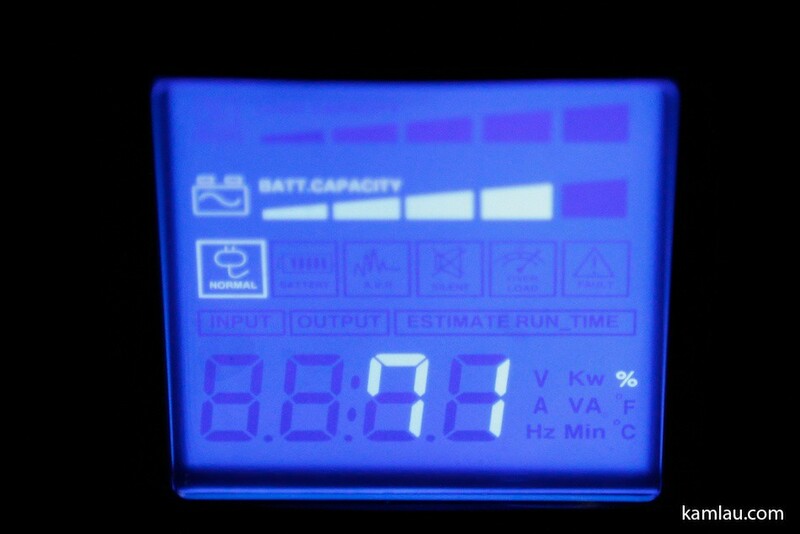 LCD display shows the input voltage of 119V. 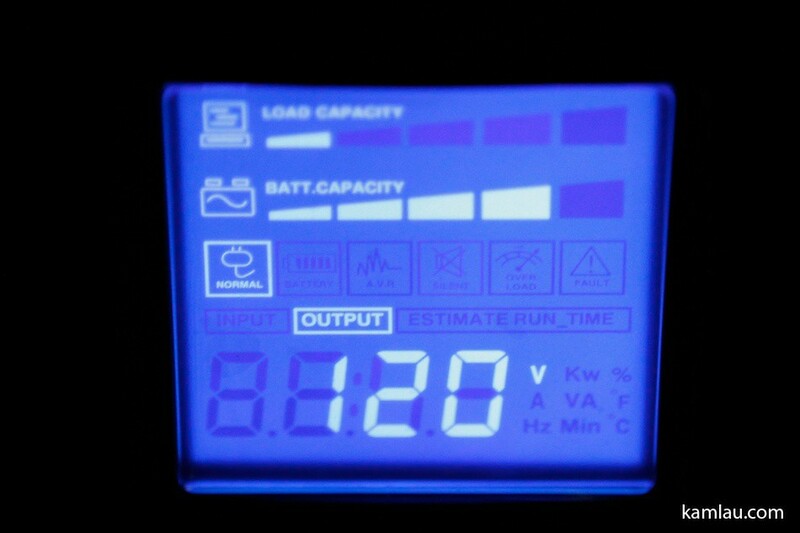 LCD display shows the voltage output of 120V. 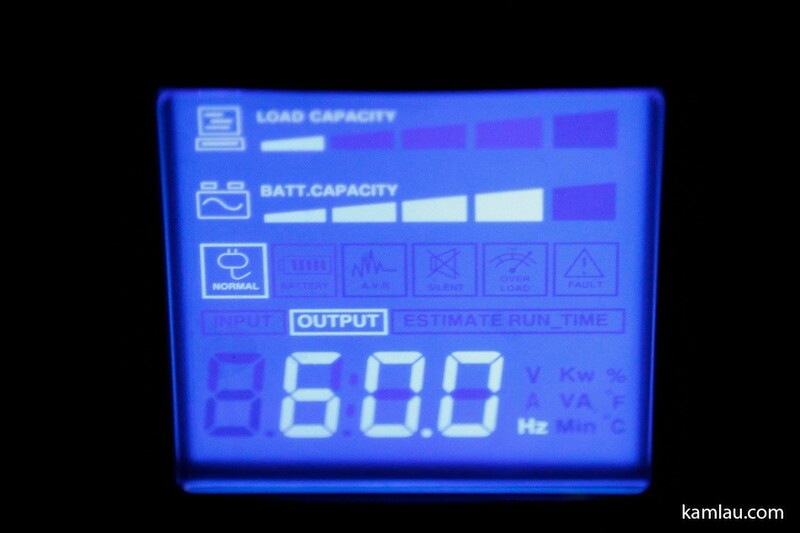 LCD display shows the frequency of the electrical output of 60Hz. 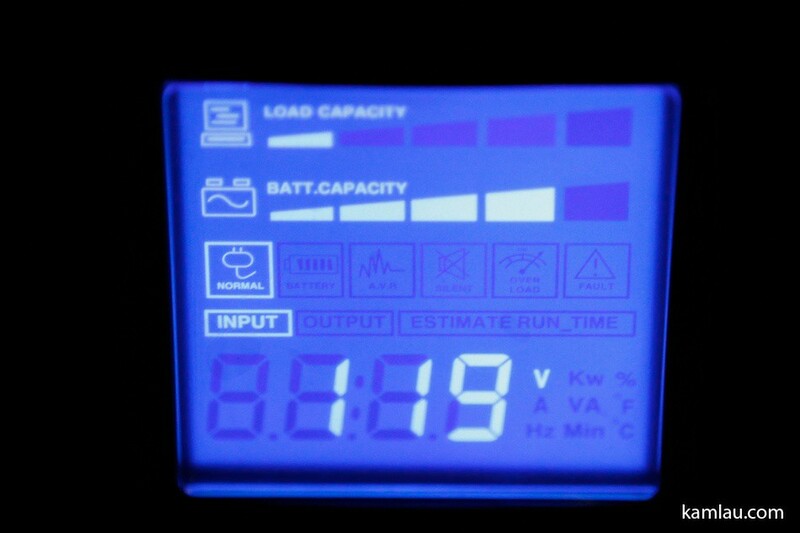 The estimated time remaining from the battery based on the output power drawn. 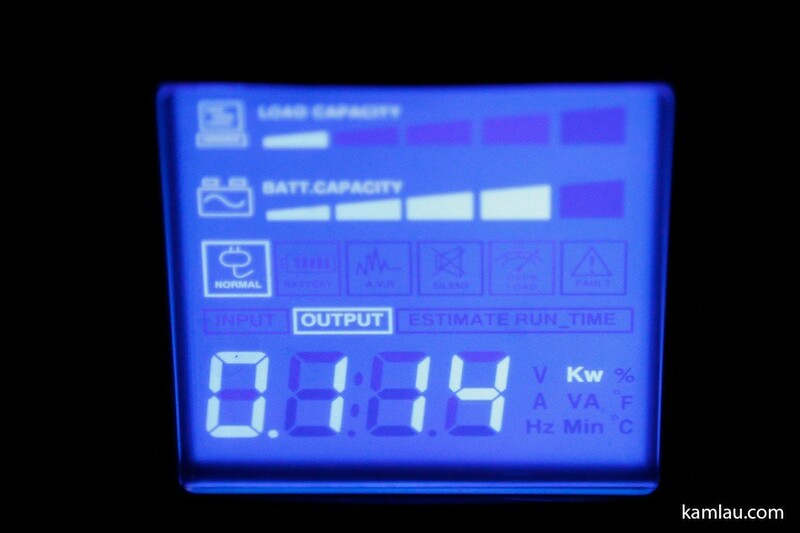 And finally the remaining Battery Capacity. Here is a video to demonstrate how the UPS reacts at around 50%. It is not a lot of action but just to note that after the iMac turns itself off, the power remaining capacity calculation climbs back. It probably has something to do with how the remaining power is estimated based on how much power is being drawn. Tower form factor saves floor space. 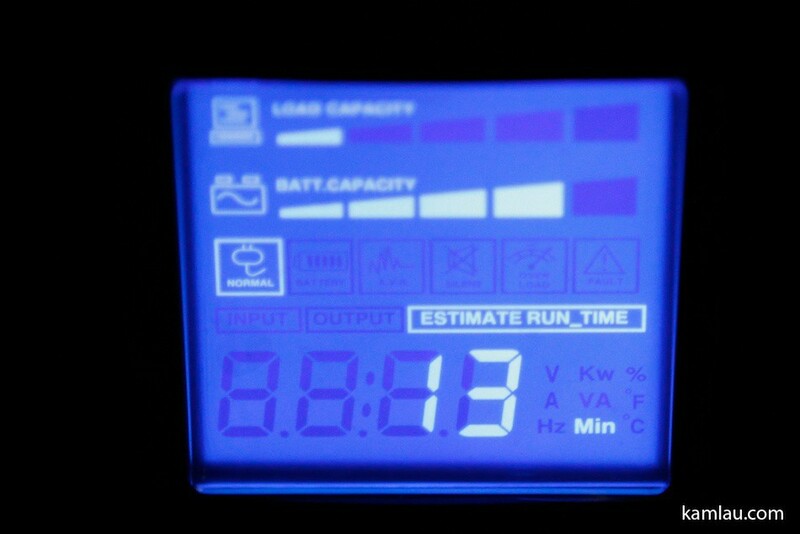 LCD display adds clarity to the state of the unit. At the regular retail price, it is not the most affordable UPS unit. However, it seems to be quite full featured and is behaving as expected during my first day of usage. I cannot comment on how durable and reliable it is yet but I sure will do another update in half a year or so for battery life based on the same power load put on it. hmm…. I should really consider one of these. Always put off on getting these things. Good post. 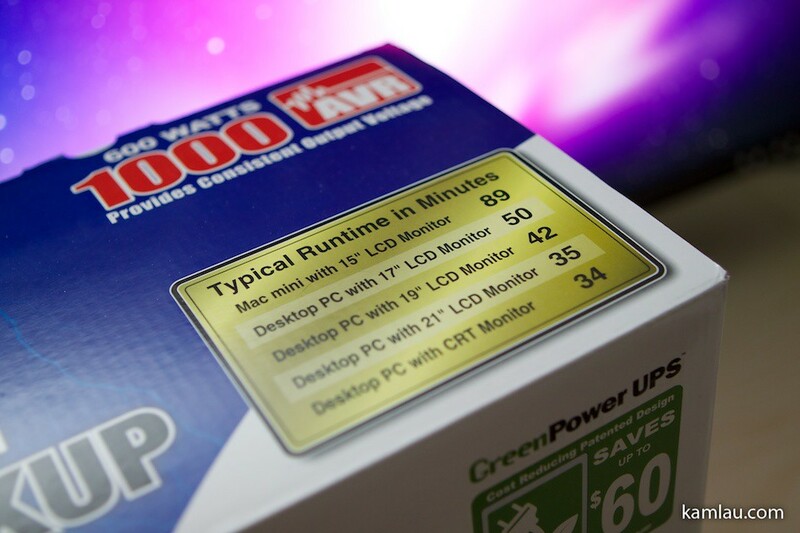 The price per Watt first attracted me, however the LCD display, and the items monitored sold me. How often I have looked at my current UPS’s and said “How much more can you give me?” Now this unit will talk back to me(via the display).